The Master of Research (MRes) in Biosciences is a one-year programme designed to provide a valuable postgraduate qualification that enables individuals who wish to improve their research skills to undertake a research project in the laboratory of an internationally renowned scientist. The programme will consist of teaching (60 credits) and research (120 credits). Research projects are chosen in consultation with staff in one of the four research divisions in the School of Biosciences, and the research project and supervisor will be chosen by the student within the first month. The programme would be ideal for someone thinking of undertaking a PhD but wishing to learn more about research. It also offers the award of a postgraduate certificate thus maximising accessibility to individuals working in industry or higher education. This MRes scholarship is provided by the School of Biosciences, and will provide 50% of International tuition fees, subject to candidate and competition. Academic Criteria: Candidates should possess a high undergraduate degree in a Life Science subject. A relevant Master’s degree is preferred. Residency: This scholarship is open to all International (non-EU) students only. Applicants should submit a CV and covering letter to Rachel Paterson at PatersonRJ@cardiff.ac.uk in the first instance. Following this initial correspondence, applicants will then need to make a formal application to the Master of Research in Biosciences programme. 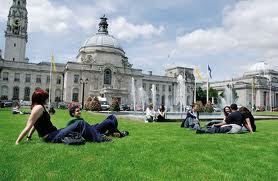 Applications can be made by visiting Cardiff’s Online Application Service and filling out the online application form. Please select the October 2013 intake for the “Master of Research Biosciences” programme and indicate that you would like to be considered for this studentship in the funding section of the form. Please contact Mrs Rachel Paterson on +44(0) 29 2087 0860, or email PatersonRJ@cardiff.ac.uk. Further information on the School of Biosciences is available through our website. Demikianlah artikel mengenai Cardiff School of Biosciences MRes International Scholarship, Cardiff University, UK Semoga Bermanfaat Bagi Anda.